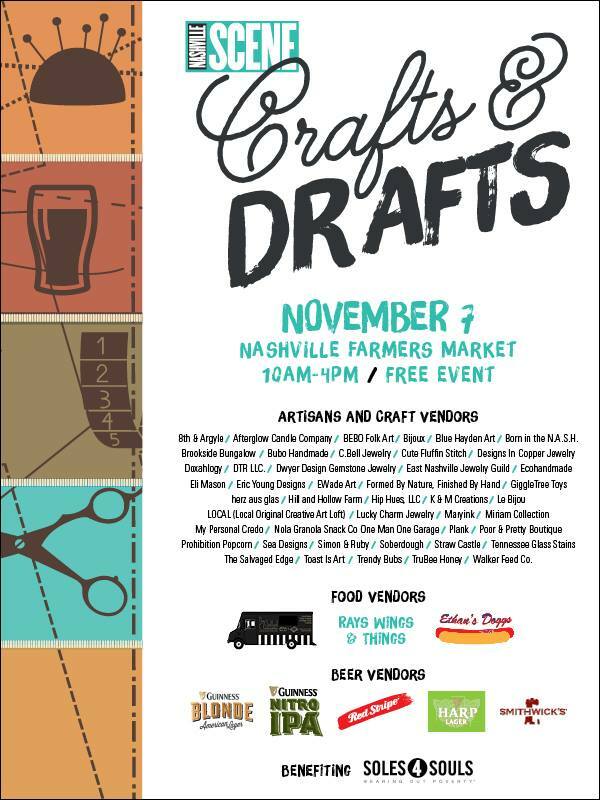 On Saturday, November 7, 2015, your favorite candle designers will set up amongst Nashville and the surrounding areas best artisans and crafters! This is definitely your destination to enjoy awesome handmade products, locally crafted beer, and delicious food trucks all in the same place. Everything kicks off at 10am and goes until 4pm, this event is totally free to come and experience!